When I was first trained to educate customers about layering at the Salem EMS in 1994, I was told to use the acronym “EMS” (external, mid, and skin) as a way to teach new hikers the proper technique. 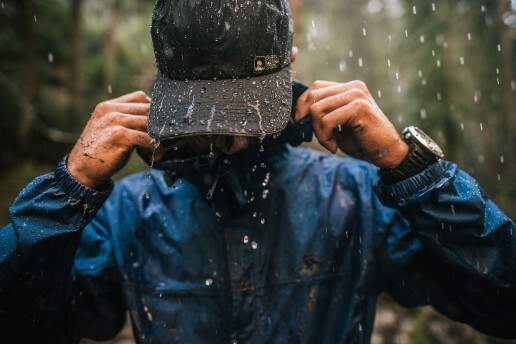 Most outdoor enthusiasts know the benefits of wearing a wicking layer to move sweat away from the skin, insulating mid-layers to create “dead air space” that traps body heat, and a shell jacket to protect us against the heat-stealing effects of wind and rain. The biggest downside to this “classic” ideology, however, is that the climber keeps their skin and external clothing on throughout the activity, only adjusting the mid-layers as conditions and levels of exertion change. Basically, the external shell must be removed while you add more or subtract internal layers, and taking off the outermost garment in a sub-zero environment has some distinct disadvantages. First of all, there is the instant heat loss you’ll start to feel. Unnecessary heat loss will have to be replaced by burning more calories, our only source of heat or energy. Ultimately, we want to minimize the drastic cool-down one experiences when shedding their outermost layer, even for just a minute or two. Second, even the most breathable shell jackets, when we are working hard climbing up a mountain, will start to get a little moist. Think of the area from your outermost layer all the way to your skin as a micro-climate with its own changing conditions. As we become warmer, the humidity in this space is close to 100 percent. As that moist air comes in contact with our outer shell, a portion of it, determined by the fabric’s breathability, travels through the membrane and escapes into the outside air, letting us stay drier longer. Eventually, we will likely exceed the fabric’s amount of vapor transport potential, and this handy one-way moisture passing will get clogged up. This effect is accelerated in sub-zero temperatures. If one were to measure the heat trapped in each layer of clothing on a warm climber, you would find that those close to the skin are nearly 98.6° F, and the temperature slowly decreases as we work through to our outermost garment. When it is very cold (talking about negative digits here), our shell will be very close to the ambient air temperature, even though we are warm and toasty inside. Why is this important? Because when that warm humid air that we’ve created through our exertion and then carefully wicked away from our skin and through our mid-layers comes in contact with that sub-zero shell fabric, guess what happens? It is no longer vapor. It freezes on the inside of the shell jacket, effectively inhibiting even the most “breathable” material to keep transporting moisture outside of our little micro-climate. Many winter hikers have witnessed this when they stop to adjust a layer and discover, upon removing their shell jacket, that the inside is lightly coated in frost. If not addressed, this blockage will make your mid-layers damper and damper, until you are a wet, soggy, warm mess. This is a real issue in a cold environment, because we all know how fast a wet person can lose heat. First, stop adjusting mid-layers. Build your clothing system from the skin out by only ever adding or subtracting on top of what you already have on. This is much faster on the go in the mountains, with the added benefit of eliminating the drastic cool-down that can occur when you stop to add a layer under your shell jacket in -40° F wind chills. Second, have an insulating layer, preferably with a hood, that fits over everything, including your shell jacket. Wait – over the shell jacket? Yes. This is the single best piece of advice I can share with cold-weather travelers. Remember that micro-climate issue of evaporated sweat condensing when it comes in contact with your sub-zero shell? This is the solution: The shell needs to be warmed up to allow moisture to continue to flow in the right direction. I’ve had many real-life opportunities to demonstrate this to clients on our Mount Washington winter climbs. A common scenario is, we arrive at Split Rock, just 0.3 miles from the summit. As we’ve been working hard, the inside of my hardshell jacket has a nice layer of frost on it. We take a five-minute break for a bit of water and food, during which we don our “puffy” jackets over everything the second we stop, even though we feel like furnaces from the 4,000-foot climb we just made. The addition of this insulating layer over our warm bodies quickly raises the temperature of that shell jacket to above freezing; then, the frost disappears, the jacket starts “breathing” again, and, when we take the puffy off right before continuing with our journey, we notice that our shell layers are soft and supple again – not frozen and crinkly from internal frost. Up we go, warm, dry, and within sight of the summit. 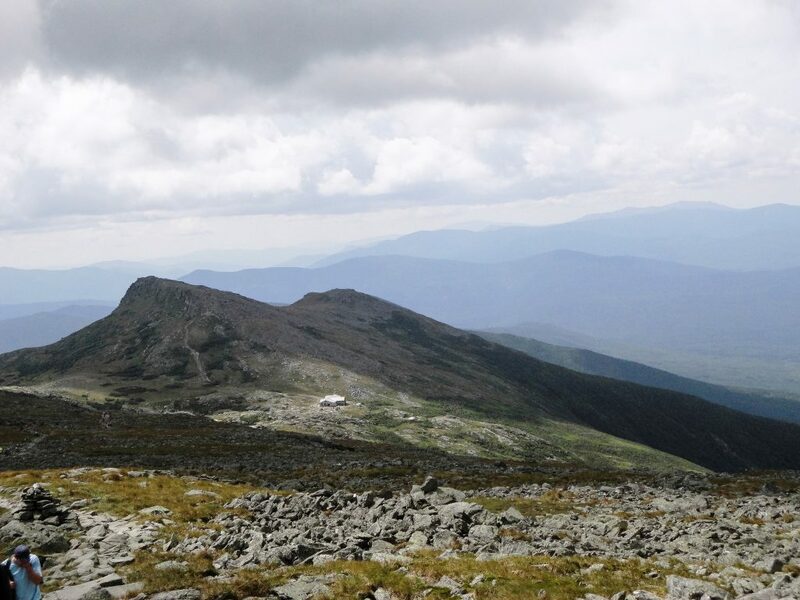 On Saturday, July 16, 2016, hundreds of outdoor enthusiasts of varying abilities will take on Mount Washington as part of the largest organized hiking event in the country, all in the name of supporting the legendary Mount Washington Observatory’s efforts. Having done more than 100 ascents of Mount Washington over the past 15 years, I’ve discovered there are many options for climbing up, other than the extremely well-known and traveled main routes. Below, I’m offering some suggestions to help hikers find the right one for their skill, experience, and ability, along with perhaps seeking a little solitude on what might be the mountain’s single busiest day. After entering the ravine’s floor, you’ll find things really steepen up. While the views get more impressive, some hikers might want to focus more on their foot placements, as a few narrower sections of the route require extreme attention. Then, as the the trail becomes more gradual and segues into the alpine zone, the remaining .7 miles and 1,000 feet of elevation gain to the summit make you think, “We must be almost there” for awhile, before you finally step onto the auto road and reach your goal. Protips: From the mountain’s east side, this is the shortest and one of the easiest trails. Being the most crowded, it might be best for those seeking a social hiking experience. For something different on your way back, descending via the Lion Head Trail makes for a nice loop hike that returns you to the Tuckerman Ravine Trail a few hundred feet below Hermit Lake. 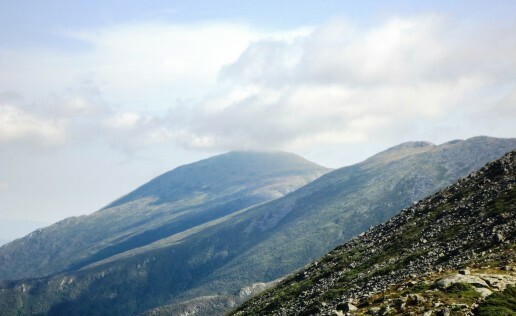 The most popular option from the west side, and the easiest trail to the summit, this route has the benefit of starting 600 feet higher than the Tuckerman Ravine Trail. While it has less total elevation gain, it’s also much more interesting, so to speak, for the first couple miles. It climbs very gently at first, until you reach the scenic “Gem Pool.” From here, the hiking steepens considerably, with the next mile being a relative “stairmaster.” The views come quickly, though, as does the treeline after crossing a few open slabs and reaching the AMC Lakes of the Clouds Hut. This beautiful mountain location is another popular resting spot, which often sells fresh baked goodies and juice at their counter. From here, the nearby Crawford Path climbs up to the summit, offering some of the same “almost there” spots along the way. Protips: If your legs are feeling strong once you reach the top, and you have plenty of daylight left, descending via the Jewell Trail lets you have a different view during the return trip, although it does add an extra mile. Back on the east side of the mountain, and also departing from the AMC Pinkham Notch Visitor Center, the Boott Spur Trail offers a less-crowded option. While adding a little over a mile to the ascent, it spends more time above the treeline, so this is a great route on a stable weather day for those with a bit more experience. Protip: Here, too, descending via the Lion Head Trail takes you around the Tuckerman Ravine Cirque, allowing you to view it from almost all possible angles. 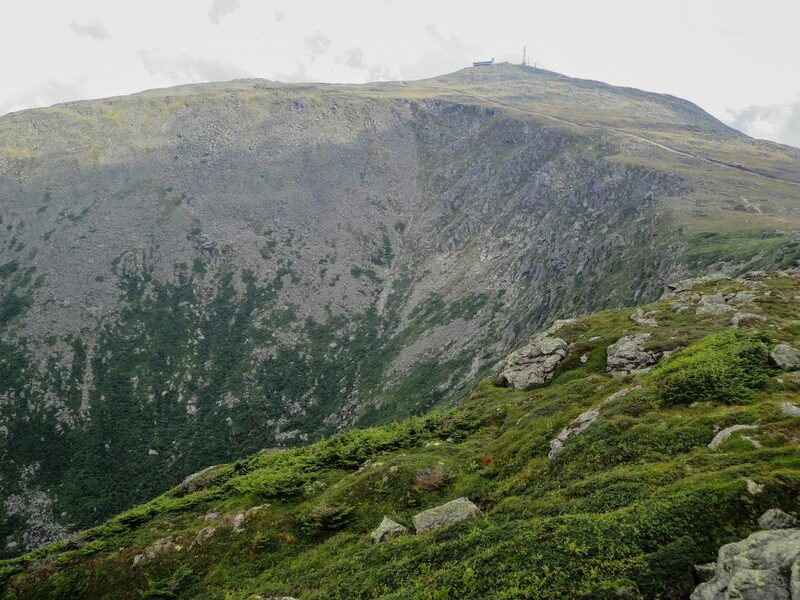 For the truly adventurous and those not faint of heart, the iconic Huntington Ravine Trail offers a very steep climb up Tuckerman’s more jagged neighbor. The two overlap during the first hour, but then, you break off onto a nice narrow trail that crosses the Cutler River and climbs up into the ravine. Sections of the headwall will feel like actual rock climbing, and as a result, people get stuck here every year, because they underestimated the exposure or their own level of comfort in steep places. This is also a poor choice for those traveling with canine companions. However, when the weather is nice, and the hiking shoes are “grippy,” it can make for an exhilarating ascent. Protip: It is much easier to go up steep trails than to go down them, so also consider descending via the Lion Head Trail, especially if there is any chance of rain! For days when the weather looks poor, for those with limited hiking experience still wanting to climb Mount Washington, or for those with very small children, there is an excellent trail network around Pinkham Notch with much less committing trips than the four I have listed above. Some recommendations: Take the Square Ledge Trail, which is about one hour round trip and has a stellar view of Mount Washington at the top. You can combine this with the Lost Pond Trail and a trip to the amazing Glen Ellis Falls if you wish to keep hiking. Or, on the west side of Route 16, where you should have parked, Liebeskind’s Loop with a trip out to Lila’s Ledge offers a very family-friendly hike with a pleasant view through the notch. For more information on these trails, pick up a copy of The AMC White Mountain Guidebook. At over 23 miles and with more than 9,000 feet of elevation gain, a one-day Presidential Range Traverse is no small feat. To get the best visibility, those attempting it often schedule their journey close to the summer solstice to maximize available daylight. Generally, experienced, fit hikers can complete the Traverse in 12 to 14 hours, while it can take about 18 to 20 for those less fit. The route is most often traveled from north to south to get the majority of elevation gains over early. There are a few approaches, but most hikers choose either Valley Way or Airline. After Mt. Madison, the Gulfside trail is followed most of the way south, with diversions over individual peaks. 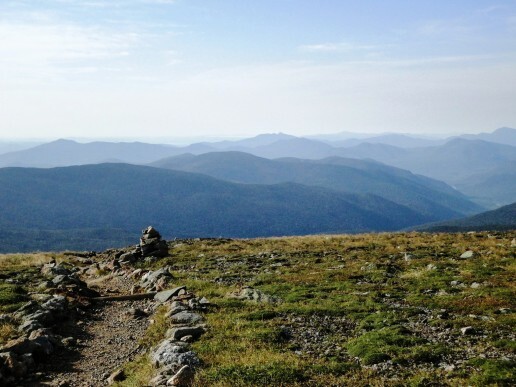 Once Washington is achieved, the Crawford Path, the oldest-used footpath in the U.S., brings you through the Southern Presidentials, with spur trails allowing you to tag the actual summits. It should be noted those who have already bagged these peaks on other trips may opt to bypass them on a traverse, saving significant time and effort, while others may argue this was not a “true” traverse. The Saturday before or the Saturday after the solstice is probably the most popular time to get through this trek. If you work Monday to Friday, you are really going to want all day Sunday to recover! During this timeframe, intrepid hikers have almost 16 hours of useable daylight. Daylight, however, is not really the main issue, as a quality headlamp can make night hiking quite enjoyable. 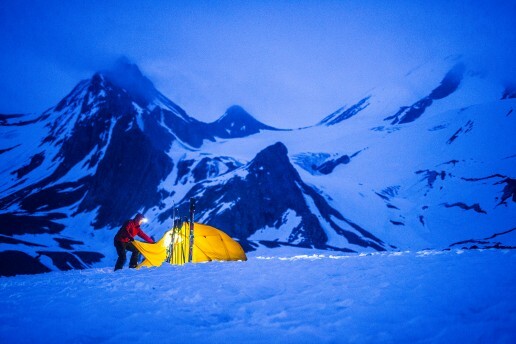 Instead, full-moon traverses are still possible when the weather is stable, so with any above-treeline White Mountain adventure, it really comes down to this factor. It would be wise to keep checking the Higher Summits Forecast every Thursday if you are thinking, “This Saturday might be the day!” Because of this aspect, don’t lock into the Saturday before or after the solstice. Rather, give yourself two weekends as potential green-light dates. As you do, pay close attention to the weather. Low pressure coming in with freezing rain and high winds? Not this weekend. High pressure cresting on Saturday with a stable-looking Sunday? Let’s go for it! If you’ve been planning this trip, you probably know a good amount about the gear you should take hiking. But for this journey specifically, aim for a total pack weight no greater than 15 lbs., including 100 oz. of water in a hydration bladder. While you shouldn’t skimp on proper clothing and food, realize the goal is to keep moving, so a light pack will really help here. As well, trekking poles should not be sacrificed to save weight; instead, use them for ascent and descent. Mountain weather is fickle, and physical fitness sometimes eludes us. While this traverse is committing, it is not without escape routes, so find them in advance. Study the map to know which trail offers the best getaway below tree-line from each section of the route – hopefully, on the same side as your vehicle. Also, consider carrying a PLB (Personal Locator Beacon), but realize the very important fact that outside help can often be 12 or more hours away! So, for these extreme cases, be self sufficient and know how to self-rescue! Success in the mountains is not judged by the summits reached or miles covered. Instead, it is judged by whether you had fun with your friends and made it home safe – that is the most important part of any mountain adventure. If the weather turns, or if a companion isn’t feeling great, do the right thing and shorten the trip – it’s okay. The range has been there for thousands of years, and it will be there for thousands more, so you can alway come back next year to try again! With Father’s Day right around the corner, we’ve compiled a list of some of the best gifts we carry for the outdoorsy dad in your life. Whether he is into hiking, biking, climbing, or paddling, something on this list is certainly a nice addition to his ever-growing gear closet! My dad always has a knife on him. It will be a very odd day when, despite the social setting, he isn’t the first to show he is prepared to help open packaging or slice up some summer sausage on the trail. This versatile knife is a perfect blend of function and style. More than just a first aid kit, this unit adds essential survival tools like a headlamp, compass, and firestarter. Our family keeps one in our car all winter long! Almost every dad has a comfy chair at home. Why not have one at camp, too? With more padding and durability than your average camp chair, along with the essential beverage holder, this model will make dad enjoy kicking his feet up after a fun day in the mountains. Summertime means lounging in hammocks. Perfect for one and cozy for two, the Barbados is ideal for sharing a relaxing afternoon. This ultralight water purification system is suitable for hiking and emergency preparedness. And, it’s also a cool gadget. What dad doesn’t like useful, innovative gadgets? The brightest headlamp in its class, this light also boasts a dynamic ambient sensor that adjusts the output accordingly to your needs. Our dads are already our heros, but this industry-leading camera captures life’s moments in cinema-quality video with the most advanced technology to date. With double the processing power and twice-as-fast video frame rates compared to the previous version, the Hero4 Black is pushing action cameras to a new level. The Cadillac of sport watches, the Suunto Ambit3 combines fitness-tracking capabilities with popular outdoor features, such as an altimeter, barometer, and compass, to give you a go-anywhere, do-anything GPS-powered timepiece. The Suunto Ambit3 is the perfect partner whether you are summiting a mountain, biking a century, or going for an open-water swim. It will certainly be a Father’s Day gift he will never forget. It was 1994, and I was 16 years old. I had been spending every paycheck I earned after school at the Salem, N.H., EMS on climbing gear. While cooling off one night at the long-since-closed Mill City Rock Gym, I thumbed through a climbing magazine article titled “Ten Classic Trad Climbs Under 5.10.” Number 6 on this list? Lakeview, Cannon Cliff, N.H., Grade 3 YDS 5.6. I was intrigued. Moderate multi-pitch climbing in New Hampshire? I had to do this. I started obsessing about it that summer. My first attempt was with my assistant manager, Peg Foss. We drove up I-93 in a light drizzle that ended right as we arrived at the iconic Franconia Notch. The cliff looked like it might dry, so we hiked up to the base. I took the first pitch – damp 5.3 climbing but doable. Peg started up the second pitch and, at the first overlap, struggled, yelling “Watch me,” and then slipped off. It was her first leader fall. It was my first leader fall catch. Her only piece, an inverted pink Tricam, kept her from going more than a few feet past the belay. Her ankle was bruised, and she had torn through her nylon hiking pants to her underwear, but we somehow decided it would be a good idea to keep going. I volunteered to do all the leading. Two pitches from the top, the description in the guidebook confused me: “Up this gully into a left-facing book”? “Well, this must be it,” I thought. 20 minutes later, while sketching out in what I later discovered was off-route 5.8x terrain, I finally admitted defeat and lowered off a suspicious horn, and we bushwhacked our way off the route to the north. After 20 years, I still remember it as being one of the most heinous bushwhacks of my life. So, then, my junior year of high school started. For my second attempt, I convinced a schoolmate to play hookie to “Come try rock climbing.” I drove us north up I-93 with a borrowed harness and convinced myself he would be fine following in sneakers. At the top of the second pitch, he declared he was terrified and didn’t want to continue, so I traversed out right into the shrubbery and embarked on the second-worst bushwhack of my life. On my third attempt, I teamed up with Tom. We arrived at the base of the route just as another party was starting. I did everything I could to stay on their heels, so I would find the correct finish to the climb. Finally, I stood out on the Old Man’s Brow and tried to take in the amazing valley that sprawled below me, having just completed my first multi-pitch rock climb: In only three attempts, in just under nine hours. It’s been 20 years. What has changed? There were the four years in the Marines, covering 18 countries in five continents. Then, getting out and moving back to N.H., and going back to work for EMS in Newington, N.H. Transfer up to North Conway. Retail. Waiting tables. Bartending. Seeing people die in the mountains. Avalanche courses. Guiding courses. The Old Man falls down! Get hired as a guide. More courses. A couple more deaths. Some…Strangers in the mountains doing what they loved, and others…much closer. A girlfriend. A fiancee. A wife! A son! A daughter! Here I am, 20 years later, now back at the climb that made me a climber, leading Oliver, who started climbing a decade before I was born and was now making his way back into the sport after a 30-year hiatus. For this adventure, he still used the 40-year-old backpack he climbed with in Yosemite and the Cascades! Here I am, 20 years later, now back at the climb that made me a climber. We left the car at 10:35 a.m. – a late start for Cannon in my opinion, but Oliver had shown endurance and skill over the past few weeks when climbing with me on Cathedral and Whitehorse, and I was confident we could make good time. We reached the base of the climb in about 35 minutes. I had mistakenly took us up the Moby Grape approach trail, forgetting that the Lakeview trail requires taking a hard right on the Pemi Trail after crossing the bridge. No matter, I thought, as this only cost us five to 10 minutes. We roped up and off we went. We made fairly good time up the first four pitches. The Old Man falling in 2003 had greatly altered the fifth pitch, and I chose to do the uphill tree thrutching bypass to the right to gain the traverse over to “Lunch Ledge.” Here, at 12:30 p.m., we took a minute to eat and drink. Then, we went up the two iconic last pitches, where you’ll find some of the best 5.5 and 5.6 climbing anywhere. At 2 p.m., we reached the top. While the flake move had provided a solid challenge for Oliver, the reward was obvious. “This may be the greatest climb I have ever done,” said the guy who used to stay in Camp Four and lead friends on climbs in the Cascades in his college years. It was at this moment I realized I first stood up here 20 years ago, a somewhat reckless teenager getting hooked on something that would steer my life forever. After a 30-minute break, we made our way down the descent trail, reaching the car at 3:15 p.m. Along the way, I continued to pique Oliver’s interest in some of the area’s great climbing spots.